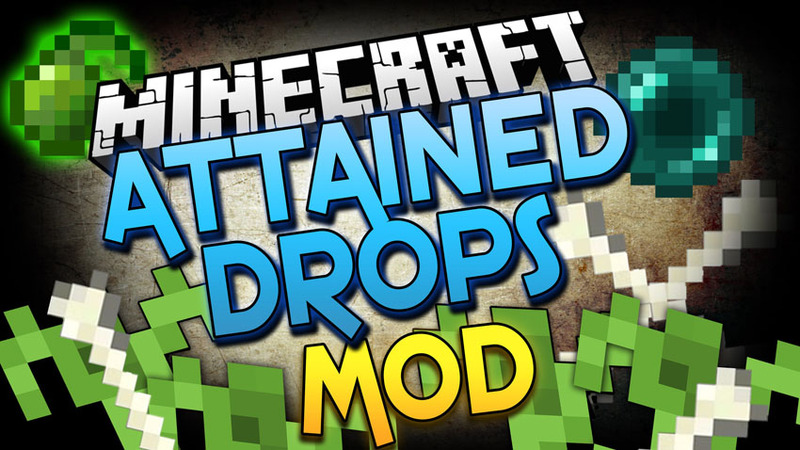 Attained Drops Mod 1.13.2/1.12.2 is designed to provide a means to grow your supply of mob drops. It is meant to provide an alternative to mob farms without taking away game-play. Some of the design goals are to keep the mod feeling as much like vanilla minecraft as possible and to add as much depth as possible with minimal “stuff” and needless grinding. This soil can be enriched with mob drops so that when planted upon, the plant will bear the riches of the soil. The supported mob drops that the soil can be enriched with are: slimeballs, gunpowder, ender pearls, string, rotten flesh, bones, spider eyes, ghast tears, and blaze rods. You can click on the soil at any time with an empty hand for helpful chat info – if the soil is enriched, the item that it is enriched with will print out, other wise it will say that it hasn’t been enriched yet. 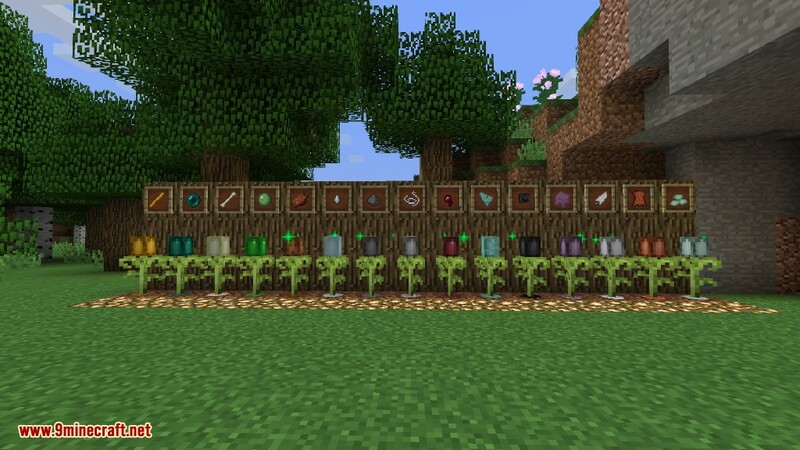 Vitalized soil doesn’t have a crafting recipe, you will need the Vitalized Soil Planter to get some. This is the block that is needed to obtain the Vitalized soil. It is crafted as shown above and will spread vitalized soil blocks around it when placed in the world. After a while it has a chance to turn into dirt as it will slowly run out of fertility. When the plant is fully mature it will turn a less vibrant shade of green and then it will sprout bulbs that relate to the enrichment of the soil. If the soil is not enriched the plant can still grow but it will not sprout bulbs. There is a chance that the soil will lose its enrichment when a bulb sprouts and it will need to be re-enriched (though it does not turn back into dirt). Slay hostile mobs to attain Life Essence. There is a chance that the vitalized soil may revert to dirt. Planters slowly revert to dirt. This seed can be planted on the vitalized soil. The plant that grows will then sprout bulbs that correlate to the enrichment of the soil underneath. Make sure you have already installed Minecraft Forge and Placebo.